The exponential growth in the popularity of craft beer, and the accompanying curiosity for at least some who then wonder what makes each beer style so different from the next, has surely helped bring some understanding that hops, at the very least, do exist. A working knowledge of their most basic role – a bitterness to balance out what would be an otherwise very sweet beverage – has come next, but understandably hasn’t gained them universal appeal. After all, we’re talking about bitterness, and some still question why it has to be included as one of the five major taste sensations. So even some of the most enthusiastic of craft fans will start to drop off there, only accepting hops as some sort of necessary evil. Yet even some of those folks, usually when pressed for it, will reluctantly admit that hops just might bring more than this singular, utilitarian purpose to the table. Though getting someone like this to actually take a sip of a well hopped beer is sometimes still a challenge, meeting them halfway for a brief whiff of its aroma, and they can at least admit there’s something else there. This is as close to a chance as hops may ever have at landing its Captain Jack Sparrow role – a chance at more widespread fame. As aromatically pungent and varied as hops can be, who can honestly deny those common elements of pine and fruit like aromas that come with their addition to beer? 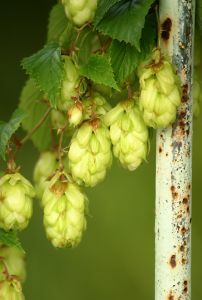 From grassy, hay like or even herbal type qualities to scents that remind one of peach, grapefruit, orange, or other tropical fruits, hops imbue beer with a world of different aromas, and in turn, tastes that cause even the most experienced of palates, once having begun to fall in love with them, to remain entranced for the duration. 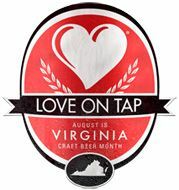 Even the well known and respected Charlie Papazian, President of the Brewers Association of America, founder of the Great American Beer Festival and the American Homebrewers Association, and all around craft beer guru, recently wrote that hops are beer’s most “romantic” ingredient. Their contributions to beer are what self proclaimed hop fans have been living for, beer after hopped up beer, for quite a while. So perhaps a club which once was quite exclusive, being a self proclaimed “hop head”, and requiring for some a tough hazing ritual to join – drinking, and then liking, a beer which might be quite bitter – might be growing just a bit, as craft beer continues to entice the curious. Where this curiosity eventually leads, at the very least, is to a basic working knowledge of two types of acids inside the hop cone flower, alpha and beta acids. Here’s where science comes into play a bit. Although both types are capable of adding bitterness to beer, the alpha acids are far and away responsible for that primary role. They are extracted during brewing’s boiling process to give the beer its desired bitterness, and typically occurs over a length of time, usually at least an hour. The beta acids, or “essential oils”, on the other hand, are the components of hops which are primarily responsible for adding that wonderful array of hop related aromas and flavors to a beer. However, these beta acids are a little on the unstable side, and during the boiling process are boiled off and essentially lost. Typically, they can only “survive” during the boil for a much shorter length of time. So the story behind how hops perform their curious balancing act of bitterness versus flavor and aroma becomes, as with so many things in life, a matter of good timing. Read any beer “recipe”, and you’ll quickly notice that not only does it include the types of malted grains and hops to use, but it also lists one very important direction to follow – one of scheduling and time. To the left is a recipe for an India Pale Ale from Will Landry, former President of Roanoke’s Star City Brewer’s Guild. At the top are two types of malted grains used in the recipe, a pale base malt, and a darker, sweeter one malt called Munich. Also listed is the overall length of the boil and at what temperature the boil will occur at. Below that, however, is found the key to hop goodness. Listed are three separate hop varieties, their amounts to be used, but more importantly, the times during the boil that each one is added to reach the desired bitterness but also the characteristic aromas and flavors Landry was seeking in the final beer. Since bitterness is extracted over a long period of time, an addition of “Cascade” hops are added at the very beginning of the boil. But as the boiling nears completion, more Cascade hops, Columbus hops, and a type called HBC 342 are added at intervals of 20, 10, 5, and 1 minutes before the end of the boil. It is key that the hops are added during these times so that the aroma and flavor capabilities of their essential oils remain in the beer. Left in the boil for much longer would result in danger of them being boiled off and lost. It is these late additions that add the flavors any hop lover, whether experienced or beginner, often falls in love with, and eventually seeks out in a well hopped beer. 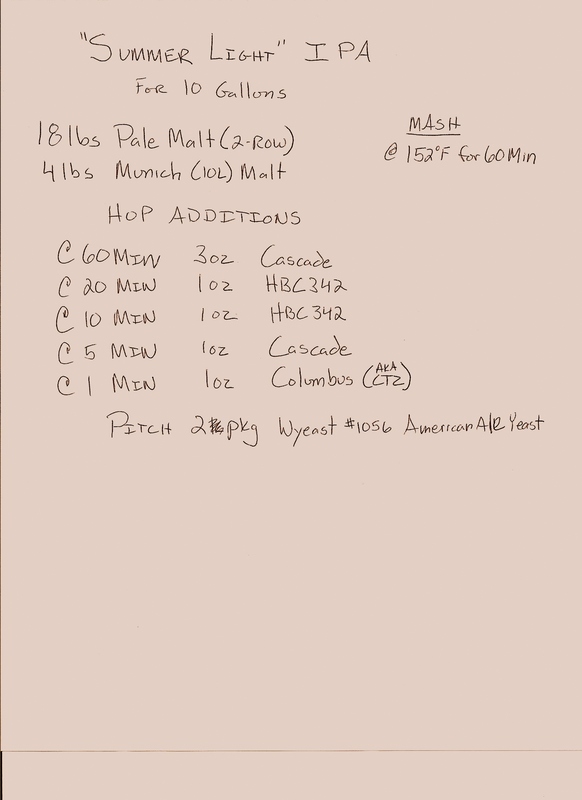 This recipe also shows the dual capability of hops, as Cascade are added at the beginning of the boil for bitterness, and again towards the end, to draw out their well known floral, “grapefruity” aroma and taste. Still other steps are taken to ensure those qualities end up in beer, including adding hops to the beer well after the boil completes. “Dry Hopping” is the addition of hops during fermentation, and is very popular when producing hop-centric styles of beers, such as IPAs. Most involve a combination of late boil additions as well as dry hopping. For example, Firestone Walker’s website lists the various types of hops used in their delicious Imperial IPA “Double Jack” by the time at which they’re added: “Bittering – Warrior, Columbus; Late Kettle – Cascade, Centennial; Dry Hops – Amarillo, Cascade, Centennial, Simcoe”. But once this introduction as to how hops perform this balancing act is gained, for many hop fans, a curiosity still has only begun. Where that curiosity is peaked is found within descriptions like the one for Firestone Walker’s Double Jack IPA. More specifically, it’s found within the mysterious sounding names of the hops used, and others like them – Chinook, Palisade, Nugget, Saaz, El Dorado – the names sound more like exotic locales than varieties of flowering plant. There are too many to types to mention in a single article, and new types are being bred each year. From the standard flag bearers of American hop types, such as Centennial, Cascade, and Columbus, to the newest, “all the rage” types like Citra, craft breweries are constantly on the lookout for the latest hop. Hop fans, in turn, often can’t wait to try out beers which showcase them as well. 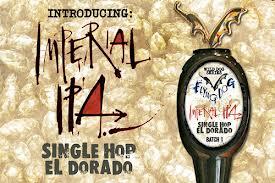 Sometimes, beers such as these end up on the market before the hop used has even received a proper name. Just recently, “Rhizing Bines IPA”, a collaboration beer between Dogfish Head and Sierra Nevada, began making the rounds in stores and at festivals. Hop fans instantly began lusting after a taste of one of the hops used to brew it, currently known only by the name “Hop 644”. Regardless of whether a hop variety is new and “experimental”, or tried and true, each one has a generalized set of flavor characteristics on which most can agree. Yet, their overall beer-by-beer affect on each person’s palate remains somewhat dependent on just that – each person’s palate – and can also depend on when they’re added to the beer. For example, while Columbus hops are used often as a bittering hop with herbal qualities, when used in a dry hopping, it has been described as giving a beer a definitive musty, onion, or even garlic like taste. Dry hopping, in general, is said to bring out the more grass like qualities in the variety being used. From woody to herbal, hay like to floral, and with citrus possibilities ranging from lemon to grapefruit, from mango to apricot, hops’ flavor and aroma contributions to beer seem endless. The variety, the amount used, and when they’re added to a beer only multiplies the possibilities. Evidence that the curiosity is growing over hops and the differences between varieties might be found in the occasional release of a “single hop” series of beers by breweries such as Sixpoint, DuClaw, Mikkeller, and Flying Dog. The recipe in each of these beers remains very much identical from one to another, except for the hops used. Such a series can give the true hop curious a chance at testing the general differences from one hop variety to another by lining them up side by side for tasting. Also, there have always been a number of singly hopped beers on the market as well, including Weyerbacher’s Double Simcoe Imperial IPA, Bells Brewing’s Two Hearted, and Founders Centennial IPA. Each gives a chance to “taste out” what a particular hop’s affect on a beer might be, yet so much still relies on how it is used in the recipe. Regardless, such beer releases only seem to underscore the growing curiosity in the limitless possibilities hops bring to beer. It’s tough to shake off a bad first impression. Hops, those seemingly inoffensive looking little green cone shaped flowers whose job is to first balance out the overall taste of beer, may never completely lose their bad rap. It’s understandable, when most first interactions with a well hopped beer is a somewhat abrasive one, contorting one’s face in ways you wouldn’t think is humanly, or even through extensive plastic surgical procedures, possible. Generally speaking, in a world where everything we drink or eat we’re told gets “better” when it gets ‘sweeter’, bitterness is on the outside looking in of the flavor sensations, and for certain is an acquired taste for most. When it comes to beer, “hoppy” may forever be only synonymous with “bitter”. But for those who ignore any initial reluctance, embrace a little tongue twisting, and see through the one dimensional knock on hops, there is a payoff that comes with the perseverance, one of limitless variety in flavor and aroma. With the growth in the interest of craft beer, and in turn a natural curiosity its various styles, an appreciation for hops and their affects on those styles just might be growing as well. After all, their capabilities nearly define many of those styles – the Pale Ale and the Imperial Pale Ale just to start, as well as countless other singular beers in which they are used to add greater complexity. So many have always enjoyed – even lusted over – what hops can do for a well crafted beer. These days, those little green flowers may well on their way of moving beyond cult only status to a more universal appeal. A greater number of beer curious folks seem to be gaining an appreciation, at least, for hop centered beers. Sure, it is unlikely hops will never completely crossover, a result of their always bitter edge. But that only seems to suit their overall image, one of being a bit of an acquired taste, just fine. After all, we can all agree that Captain Jack just wouldn’t be the same pirate without that characteristic mischievous, sly grin. ~ by thebeerroad on February 27, 2013.